Si quieres leer la versión en castellano, pulsa aquí. 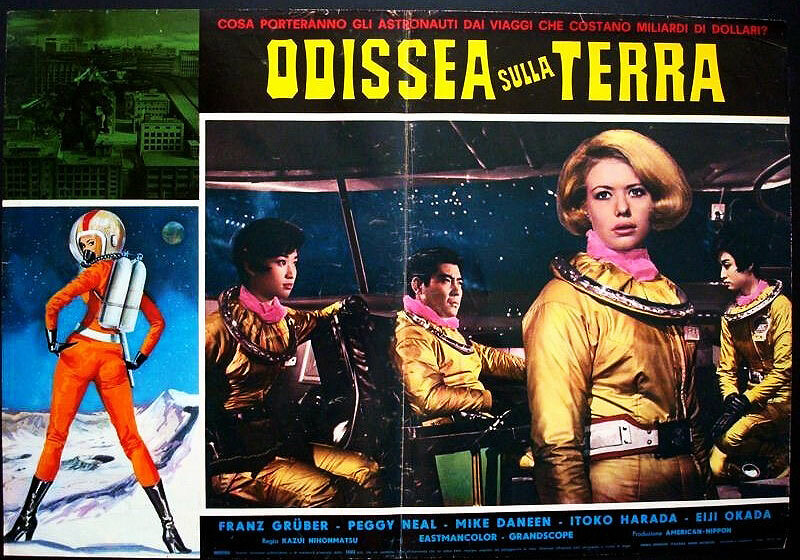 As mysterious as mesmerizing is her beauty, Peggy Neal had a shiny but brief career in Japanese cinema at the end of the 60s, which gave us works such as “Terror beneath the sea” or “The X from outer space”. Away from the screens for five decades, the actress will soon return to the genre thanks to the movie “The Great Buddha Arrival”, directed by Hiroto Yokokawa. For the first time, Peggy Neal opens her soul for us and shares, in an exclusive for “Godzilla en Castellano” readers, her memories, her experiences and her impressions about the genre that saw her first steps on the big screen, and also about her life. A fantasy life that could have been, a fantasy woman that she is. 1.- How did you get involved with the “The X from outer space” production? I was studying at Sophia University, I had modeled most of my life. My mother had modeled as well. At the time there was a bigger than lifesize photo of me in a cardboard stand up form that caught so much attention that it seemed to disappear overnight taken by all and everyone. Even my son has one somehow. This was in ski clothes. It caught the attention of the “Terror from beneath the sea” people, they contacted my agent and offered me the female lead. This was my first film, I was 17. 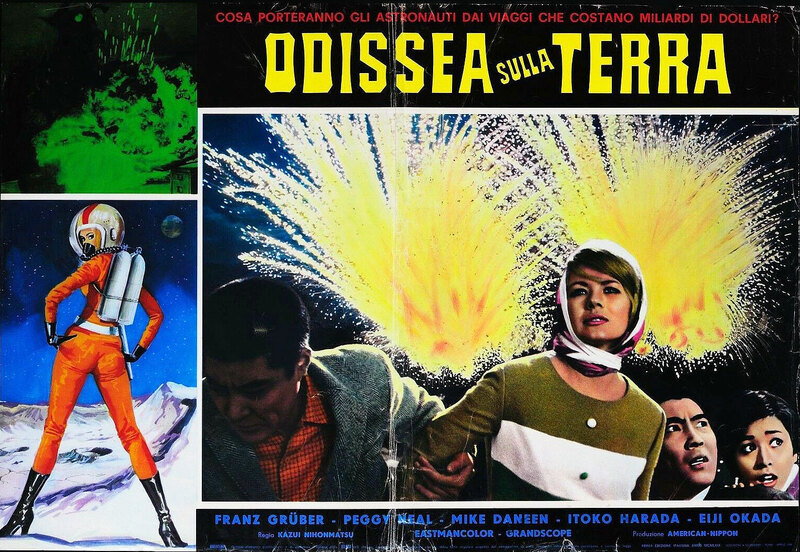 “The X from outer space” came as was night to day due to the very well received “Terror…” film. 2.- At the time of the production, did you speak Japanese, right? How was your relationship with the rest of the cast and crew in this sense? At the time of the film I understood more Japanese than I spoke. I went to Nagoya as a very young child. Japanese was my first language as my care takers, my goddesses were three beautiful, kind and loving Japanese Buddhist ladies and we lived in a wonderland Japanese garden. It was beyond magic. The inner, inner me became very much Japanese. My relationship with cast and crew was heart felt. They knew I was very young but because of my early life in Nagoya unconsciously I did fit right in. They were very supportive and endearingly FUN, as well as kind and somehow I was doing what I was meant to do, I just didn’t understand that at the time. 3.- Your character, Lisa, has a very magnetic presence and it stays in the mind of the audience after watching the film. Do you remember how did you prepare for the role? The part of Lisa, I found within me. I don’t mean to sound bold but I was a natural, unschooled, very young and insecure. But I had a gift. I think it was because of my isolated life I had a rich fantasy world and had read massively great literature but also philosophy: from Kant to Jung and most special Asimov, Bradbury and Le Guin… I feel science-fiction is a new age philosophical platform, right now and then. Lisa was as natural for me as breathing, to slip into the fantasy to be thrilled and delighted. 4. “The X from outer space” is a very peculiar monster movie, with a very different feel compared to the other Toho or DaieI genre films. Did you notice this during shooting? I was naive, unschooled and didn’t judge and just in LOVE with the whole process!! 5.- Usually the Kaiju Eiga actors and actresses find some difficulties when they shoot the scenes because the “monster” is not with them. How was your experience in this sense? Did you have a physical point where to aim your eyes, and then act? It was amazingly easy for me to take direction and I had a great director, and remember my fantasy life was in motion. 6.- This is one of these movies in which the actors look like they’re having a great fun. Do you agree? Do you remember having lots of fun during the shooting? Did you visit the filming set of the Special Effects scenes? Fun, so way beyond that definition, except I should have gotten the boy! I loved the special Effects, still do when I watch films. 7.- Did you participate in the promotion of the movie? No I was not involed in promotion other than a few interviews. I started another film right away and went to Las Vegas to shoot. This was a stretch for me as it was comedy. I kind of functioned as the unofficial translator and facilitator for my fellow cast and crew, plus I kind of hung with part of the “rat pack” who wanted me to stay and meet Hitchcock. But I was in love for the first time, loved what I was doing and Japan. I wasn’t all that comfortable in the United States and remember I was maybe 18 and an intervert that just happen to be able to operate in the acting world and fit right in. It was a bit of a lark but again I should have gotten the boy, witch is a common comment on the film. 8.- Did you like the final result of the movie? Yes and no I am afraid. I found it a little wooden and could have been better written. But a much older and experienced me is talking, with a degree in communications, a minor in acting film, photography and English and a 78 unite masters in international affairs. A much different optic. At the time I was so busy with school, film, my first love, and just the life of a teenager in elegant, fun, international Tokyo. I loved doing it but I had never seen it until a few weeks ago. Actors often do not watch themselves on the Big Screen. it’s a little too critical for them! And at the time there was some criticism about my work and I was an insecure teenager. It was not until recently that I perceived I was pretty good but at the time I was untrained. Remember this was before the Playhouse where I learned skill and validation. 9.- We would have loved to see you in more movies, but your main acting roles date from 1966 and 1967. Why did you not pursue an acting career? My father was an Air Force officer. When he was transferred to California he dragged me kicking and screaming with him. I was underage and he had my passport. In retrospect I think he came to realize his mistake, I would have been the youngest graduate of Sophia. I was well taken care of, a bit of a Japanese princess and so happy. I was not wired for late 60’s Southern California. When in California I chose to go to Pasadena Playhouse and do stage and really truly become an actress. There are only three real acting schools in the United States, of course there is the Actors Studio in New York, then Steppenwolf in Chicago and the oldest Pasadena Playhouse. I was so insecure that I hadn’t even requested copies of my films to take to an agent in Hollywood. But Pasadena was great for me, they appreciated me, helped me perceive my talent. I did much classical work and even did Cleopatra in “Anthony and Cleopatra”, Shakespeare version. I loved stage work and it loved me back, studied diction, dialects, acting, improvisation, movement, so much more. I did modern too but I loved the classics and of course Williams, Ibsen, Strindberg and more. I was trusty to learn my craft but unfortunately I was as Bradbury would say a Stranger in a Strange Land, and chose as my guide a Berkeley drop out and massive druggie, a fellow Pasadena student. I got pregnant and for me there was no choice but to marry him. I ended up in Standly Hills Drive, Laurel Canyon, where I worked till 9 months pregnant to support my hippy husband and his brother, who did things like bring an associate of Charles Manson into my life that wanted to take me to the ranch to have my baby. Real true horror. Finally after having my baby I became so ill as did he, that we were almost dying of pneumonia. At the time my father was flying in South East Asia out of Taiwan and thank God he came and snapped me and Neal up and saved our lives. And that was that for acting until I did “Boys in Company C” with Sidney Furie, when living and working in the Philippines. Most of it was cut as the story took another direction, as film will. But Sidney very much wanted me to come to L.A. and sponsor me to get back into acting. But I had my son to raise. I am Buddhist and I follow the path. Apparently Japanese film had been seeking me for years but I had become very ill and then there was my son and also I took care of my beloved parents until they passed. 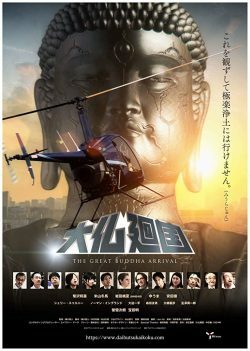 10.- Did you enjoy returning to the genre in the still unreleased “The Great Buddha Arrival”? Somehow Avery, my producer and good angel found me on Facebook. I am kind of hard to reach but Avery somehow with great intuition contacted me through a temple friend. And thus I came to “The Great Buddha Arrival”: I did my part here in Fair oaks. I had a broken foot so director of photography Kieron came to me. My part was inter cut into the film. I will be meeting all and every one at a major event in Chicago this July. They will be showing three of my films. I have much trepidation, gratitude and excitement. I do so love acting and all and everyone it involves. And they say I have fans. Who knew? Not me!